In April, the Windy Saddle Café will celebrate its tenth anniversary. 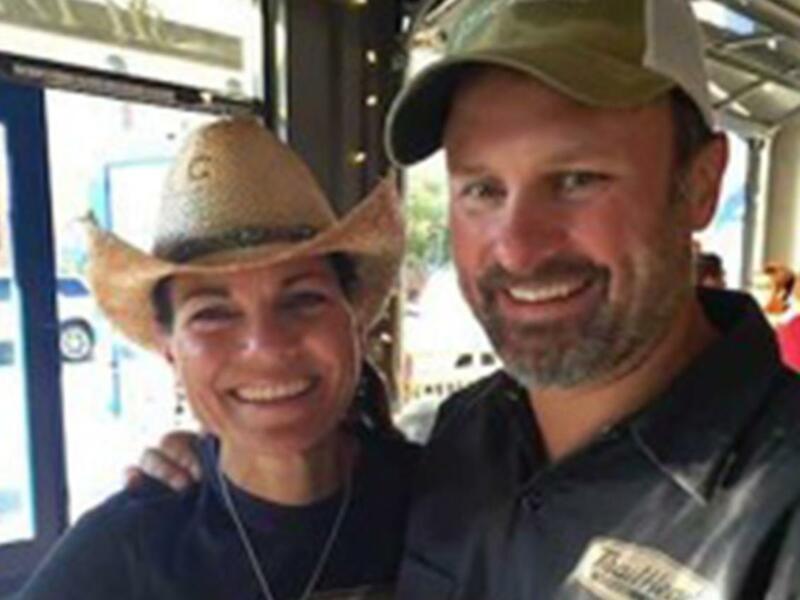 Located on Washington Avenue, under the “Howdy Folks” Welcome Arch, the Windy Saddle is where locals gather to enjoy delicious food, excellent coffee and friendly conversation with owners DeAnn and Brett Wieber. Originally from Wisconsin, the Wiebers were high school sweethearts who dreamed of living in Colorado and running a cafe. A few years after graduating from the University of Wisconsin – Madison, -- yes, they are die hard Badger fans, -- they moved to Colorado and fell in love with the small town feel of Golden. The town was “on the cusp of becoming something really special” and the time was right to make their dream a reality. Despite having a toddler daughter, Stella, and a second baby on the way, the Wiebers opened their doors in the old Meyer’s Appliance Store in April of 2007. “That first day was crazy busy,” recalls DeAnn, who gave birth to Sam two weeks later. It was a whirlwind as the Wiebers threw themselves into the Windy Saddle and parenting their two young children. Stella and Sam spent a lot of time in the Windy Saddle’s popular “buckaroo room,” a place that is still popular with young kids and parents today. “Assuming we could actually do everything we love to do in Golden in one day, we would wake up with a stop at Windy Saddle Café for our favorite espresso drinks and grub, including fresh baked goods and breakfast sandwiches. From there, I would ride up Lookout Mountain and meet up with Brett, Stella and Sam at Windy Saddle Park, along the Lariat Loop, for a hike along Beaver Brook Trail. The out and back trail has great views and fun rocks to climb. After our hike we’d check out bikes at the Golden Bike Library and ride to Goozell Yogurt before dropping in at Vital Outdoors, Peak Cycles and Golden River Sports. Then we’d head down to the American Mountaineering Museum to walk through the exhibits and hit the American Alpine Club Library to borrow some inspiring books and videos. Next we’d head to the Colorado School of Mines Geology Museum and afterwards, we’d stop by Clear Creek to soak our feet in the cool water. Our day would conclude at the Trailhead Taphouse and Kitchen to kick back, relax and sample a variety of Rocky Mountain beers on tap and enjoy some serious jambalaya or a fresh, filling protein-packed salad on the patio overlooking the foothills. Stop into the Windy Saddle for a perfect start to your Golden day and say hi to Brett and DeAnn.